Welcome to our Mobalytics 9.6 LoL Patch Notes Breakdown! In this breakdown, our three experts analyze the most impactful changes for the 9.6 League of Legends patch update. We’ll discuss the buffs, nerfs, and adjustments regarding champions, items, and Summoner’s Rift itself to understand the patch’s effect on the meta for all roles. We recommend following along with the 9.6 patch notes since we won’t be listing all the specific stat changes. Head to our 9.6 tier list if you’re looking for champions to climb with this patch! “I like Top lane right now, but one thing that is still a bit imbalanced is how strong fighters are compared to tanks. As a fighter player, this isn’t really a worry, and probably prefer it, but tanks are quite bad. Tanks get shredded by Conqueror abusers and it’s really hard for them to get out of lane. Scaling also isn’t favorable right now and it’s a very early game meta in high elo. Picking something that breaks the game wide open on 2 items is what is necessary to climb with in high-ELO. Good examples are Vladimir, Riven, Jax, and Singed. Currently, Mid laners are very focused on roaming early on to help out their Jungler while also looking to impact bot lane greatly. This is why you see many champions like Talon, Aurelion Sol, and even Taliyah come back and do well. As for Junglers, they are focused currently on skirmishing and frequent ganks, making champs like Nidalee, Kha’Zix, or Jarvan IV be very impactful. The most important thing for these two roles is if Mid and Jungle can get priority together, they can impact bot side early and secure a game. Neeko is leaving bot lane as quickly as she took over. Her bug fix to her W damage and the attack speed growth changes have a big effect on her ability to output DPS. The Morgana update also helps shape the meta of bot lane as her rise in popularity increases the effectiveness of enchanters but holds down aggressive melee champions like Leona, Rakan, and Thresh. Enchanters are the most effective Supports but the most skilled players have the ability to influence the game on the few playmaking champions like Bard and Thresh. Kayle is quite interesting as she started off Patch 9.5 looking pretty weak but started to dominate and rise towards the end of the patch cycle. She’s actually Kellen’s Pick of the Patch as an S-tier Top laner, check out our tier list for his explanation! Neeko was buffed in the previous patch, and saw a sudden explosion across all roles due to an on-hit build (which was so powerful it was hotfixed). The slight buff to her attack speed growth (to 2.5%) won’t mean much as she originally had 3.5% before her nerfs and she’s going to take a hit from the bugfix to her W.
That being said, Neeko will still be B-tier on our tier list for Top and Bot Carry, due to her versatility as a champion that can poke, self-peel, and engage. Orrn is one of those champions that seems incredibly hard for Riot to balance for both competitive and solo queue play so he’s always stuck in identity-crisis limbo. These changes are designed to help out is early game (looks like they want you to max W?) but he still isn’t worth picking up if you’re looking to climb this patch. Similar to Rakan in the previous patch, Urgot is seeing some love after being absolutely gutted. The previous nerfs were quite fair though as he had been dominant in both solo queue and pro-play. 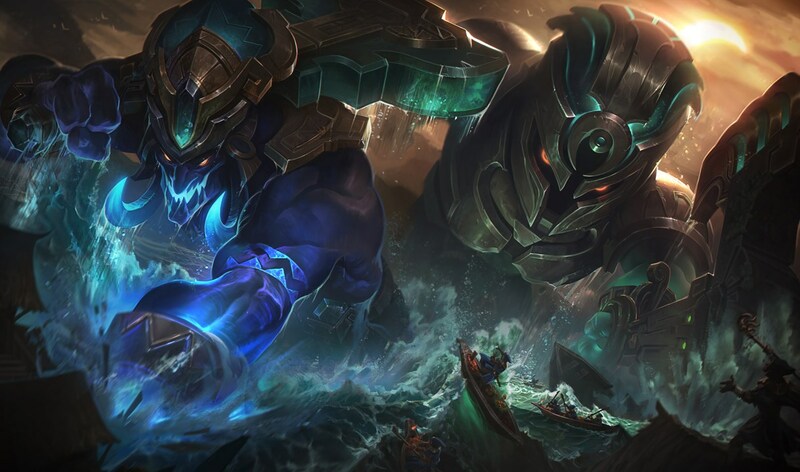 His mana and mana growth base stats are seeing increases, his shield is being moved from his W to his E (something Urgots have been asking for for a long time), and his ultimate is seeing a large increase in range and more damage. These changes should be a welcome sight for the Urgot-faithful who stuck with him since then. He should definitely be solid for low-ELO, we’ll be keeping an eye on how he does before we place him back on our tier lists. Caitlyn has been rising recently as ADCs have made their return due to the crit item changes and this buff to her ultimate will make her even more attractive in champ select. She still hasn’t established a consistent place in pro-play but she’s at A-tier for our General and High-ELO list. Mega Gnar’s W is being standardized to 7 seconds at all ranks…it isn’t too meaningful, you can move along. Our expert Moriarty thinks that the bugfix to allow Hecarim’s Q to stack properly may be big for his viability. He’s been sort of a feast or famine Jungler that goes back and forth between B-tier and off the list. For now, we’re going to wait a bit to see what happens before we really recommend him for climbing. This is more of a quality of life improvement, it won’t really change his status as an already strong Jungler for high-ELO. These changes are more targeted for pro play so it won’t really alter our feeilings about Jayce. He’s A-tier for high-ELO and off the list for our general list. Similar to Jayce, LeBlanc is more of a high-ELO champion that most players can’t properly handle. She’ll still be quite strong at high-ELO but this reasonable nerf will open the door for other Mid champions to rise. Midbeast’s Pick of the Patch is Ahri, partly due to LeBlanc and Zoe’s nerfs (more on Zoe below). Check out his explanation in our tier list. Poor Nautilus was in the depths of meme territory for quite some time. These buffs to his early game have our experts placing him at B-tier for Supports on both of our lists. He was already sort of serviceable for the role (we did see him played at Worlds 2018). The buffs still aren’t enough for us to recommend him as a Top laner or Jungler. Rek’Sai’s ultimate is seeing some nerfs to balance out how easy it is to land now. She was a force to be reckoned with in solo queue and pro-play for 9.5 so although she will certainly feel these nerfs, she will still be a strong pick in the Jungle being S-tier for high-ELO and B-tier for the general population. Shen is sort of like Ornn in that he’s a champion that seems like he’s built for coordinated competitive play. If he’s not good in pro-play he’s probably really bad in solo queue and if he’s good in solo queue, he’s probably broken. This buff to his Q is a step in the right direction for viability but it won’t be enough to convince players to pick him up. Sylas’s nerfs are sort of expected as his tankiness and sustain have been absurd. He should be a champion that’s a little harder to execute and be looking to reward players more for making smart choices in stealing ultimates instead of just confusing people with how much he heals for. With all this in mind, Sylas will still be solid, our experts are placing him at B-tier for Mid lane on the general list and A-tier for high-ELO. Trundle has been receiving buffs recently but he still isn’t there just yet. The changes from this patch will help out his early game a bit but the strong champions out there are just too good for you to want to consider the troll. According to our expert, Prohibit, Xayah will be an A-tier ADC as a result of these buffs since she’ll have more consistent scaling into the late game. She’ll be especially strong if you’re able to find a Rakan to duo with (he received buffs as well recently). Sleepy Trouble Bubble has been the focal point to Zoe’s power since her release – hit a bubble, land a Q for massive burst, repeat. Adding 4 seconds to Bubble’s level 1 CD is nothing to scoff at and enemies will be able to escape more consistently throughout the mid and late game with a decreased slow effect. Due to these changes, Zoe has fallen from S-tier to B-tier for our high-ELO list and remains as a champion that we can’t recommend for lower-ELOs. This one’s a little tricky because Riot isn’t super clear in their explanation for the changes. The main thing to focus on is that the starting cooldown is being decreased from 240 seconds to 180 seconds. The earlier activation means that champions with a level 3 all-in will consistently be able to have a level advantage over their opponent. If you see a LeBlanc, Fizz, Zed, or Syndra taking it against you, watch out! This rune was hardly ever seen in solo queue (outside of some ADC/Enchanter duos perhaps) and it’s mostly for pro-play so this nerf shouldn’t have much of an impact. Let’s cut to the chase, this is an Ezreal nerf. No other champions are going Double Tear builds. If you’re an Ezreal player that still wants to make him work, try swapping out Archangel’s with a Blade of the Ruined King or a Last Whisper. Thank you for reading, we hope you enjoyed this patch breakdown. How do you feel about this patch? Let us know in the comments. As always, if you have any questions, find us in our Discord!